Star Lane Ranch is located on the eastern edge of the Santa Ynez Valley. 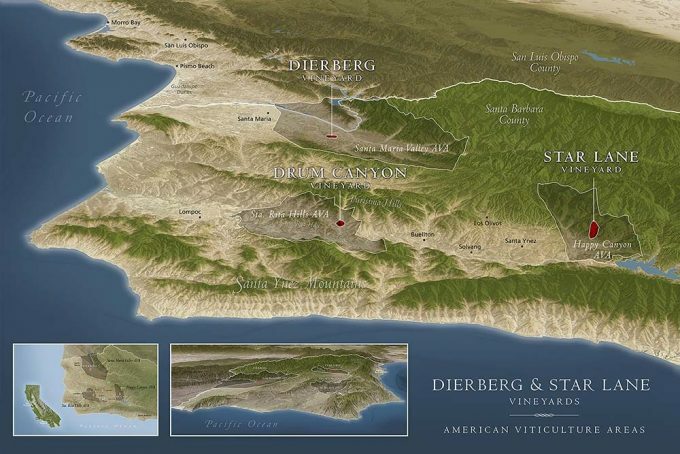 By 2009, Happy Canyon of Santa Barbara was federally recognized as its own wine appellation for its unique microclimate and soils. Its special characteristics, combined with demonstrating a strength in growing Bordeaux varietals, make Happy Canyon the new Cabernet frontier in California.